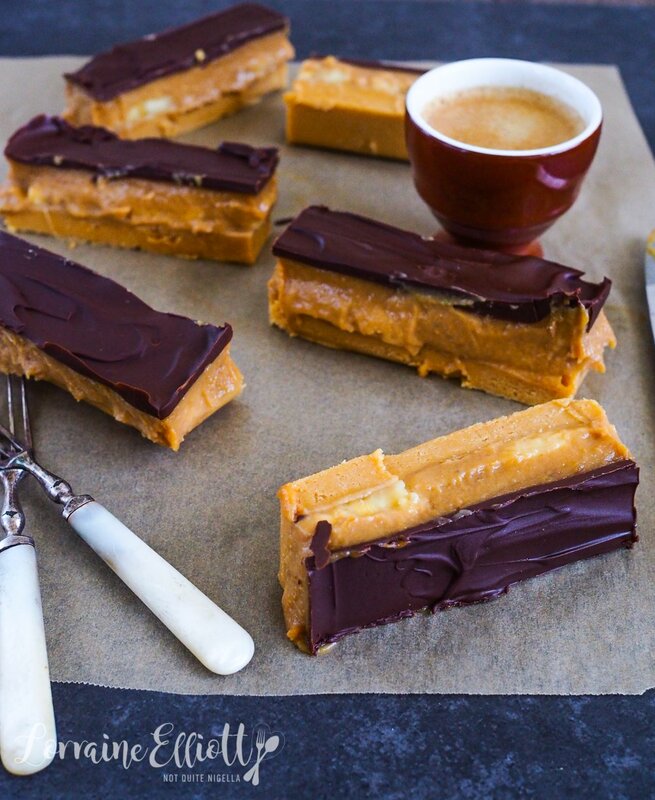 The Life Changing Bannoffee Peanut Butter Chocolate Caramel Slice! 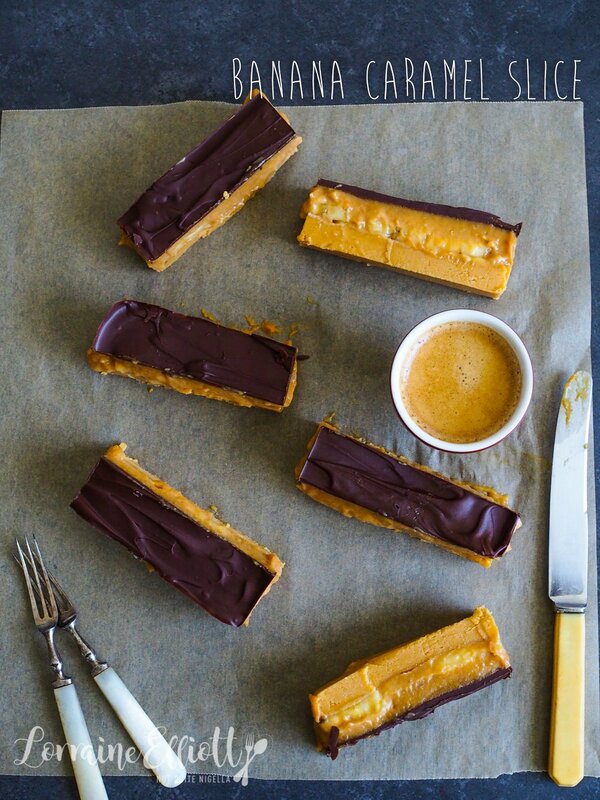 I dreamed up this caramel slice one day when I was eating peanut butter by the spoonful. It was Valentine's day. The day went fine but it was hardly romantic and because I am complicated I asked him why he hadn't bought me flowers. Mr NQN had to remind me that we never celebrate it. Our favourite sushi place was closed for renovations so we rushed around trying to find another place. And in place of dessert, I was eating peanut butter by the spoonful while sitting at my computer on Valentines day evening trying to back up my old phone as I had just bought a new one. Super romantic right? 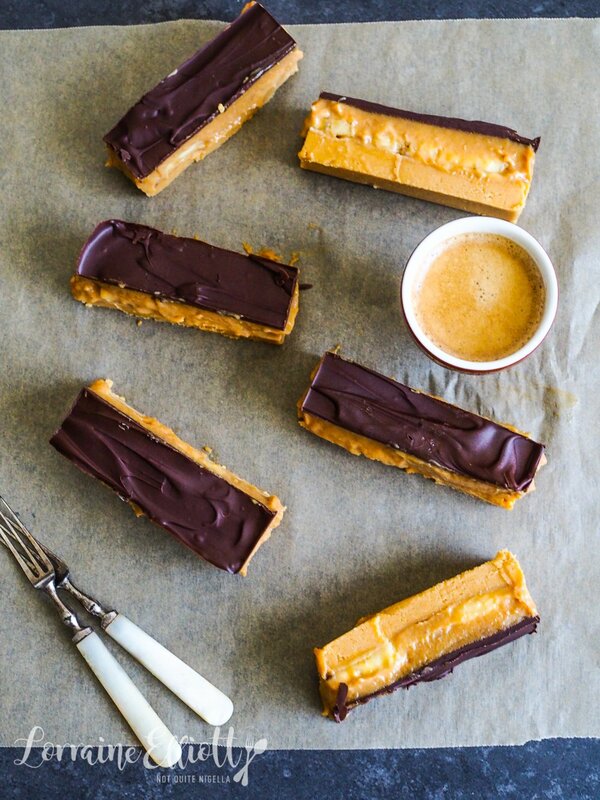 And then my mind wandered and I thought how good a caramel slice would be with peanut butter and banana added to it. Sort of like a bannoffee pie without the cream. I ended up bringing this caramel slice to an Elliott family picnic. It was Mr NQN's mother Tuulikki's birthday and the family had gathered in Manly for an outdoor picnic. I had almost forgotten how much fun they are. I watched on with amusement and horror as Mr NQN's brother Manu chopped up melons with a cleaver on his lap (there was a chopping board but I kept telling him to rest it on the ground!). Manu has work burnout from a very intense job working as crew on television shows and his days are now spent swimming and occasionally posting esoteric videos to youtube-the latest one was him soldering for an hour (seriously :) ). A cheeky pug came by and peed near Tuulikki's present and Mochi barked at it. Afterwards his sister Amaya took out her ukelele and Araluen, Amaya and I did a singalong to any songs that we knew. I felt like the Asian goth member of a mostly Aryan singing trio. 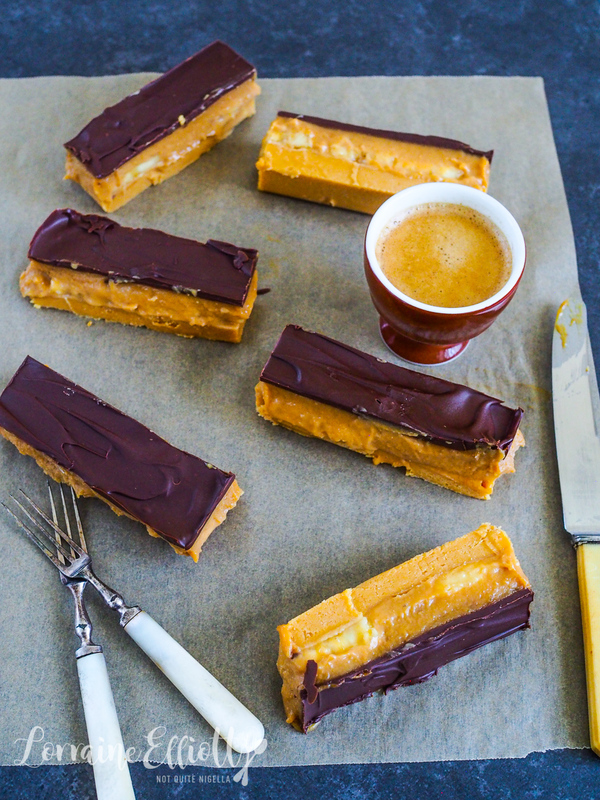 So tell me Dear Reader, do you think you would like this version of caramel slice? How many pieces of caramel slice can you eat in one go? And what did you do this past Valentine's Day? Step 1 - Line a 20x20cm/8x8 inch square tin with parchment on the base and sides. Preheat oven to 180C/350F. 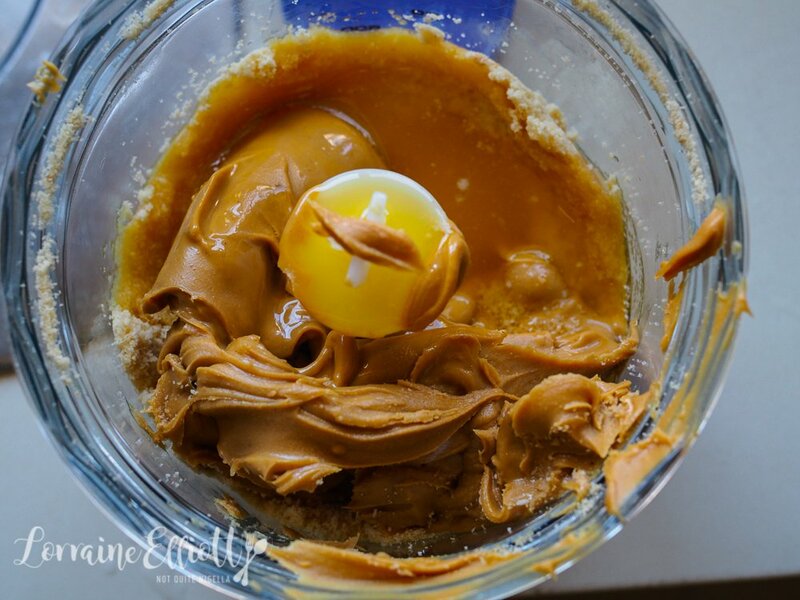 Process the biscuits, peanut butter and softened butter. Press into the lined tin and refrigerate until set. Layer with sliced banana pieces. 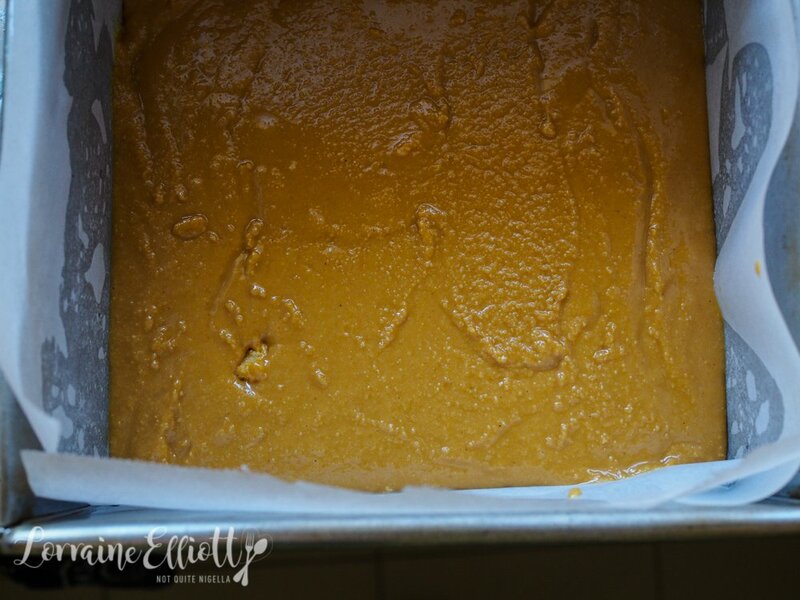 Step 2 - Place the caramel filling, banana puree and butter in a saucepan and stir until melted. Cook for about 10 minutes or until thick making sure that it doesn't catch at the bottom. 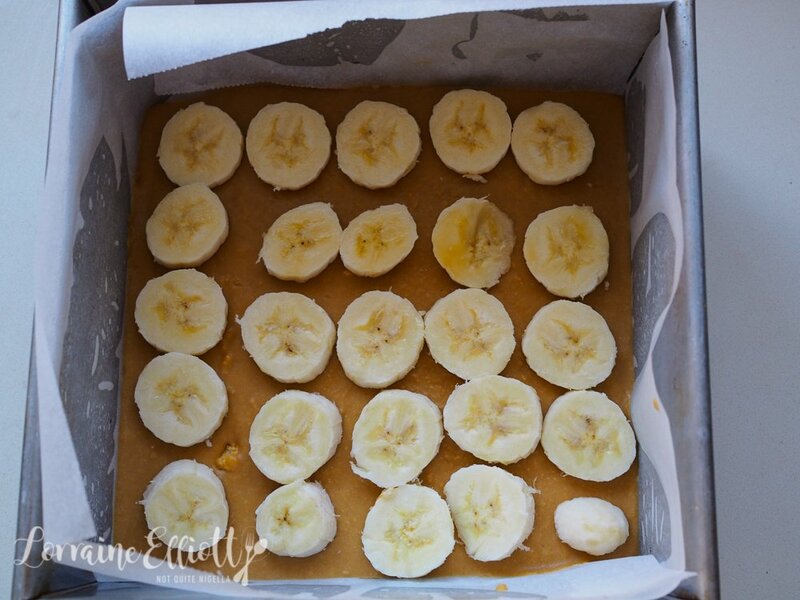 Pour over the banana topped biscuit base and bake for 20 minutes. Cool. 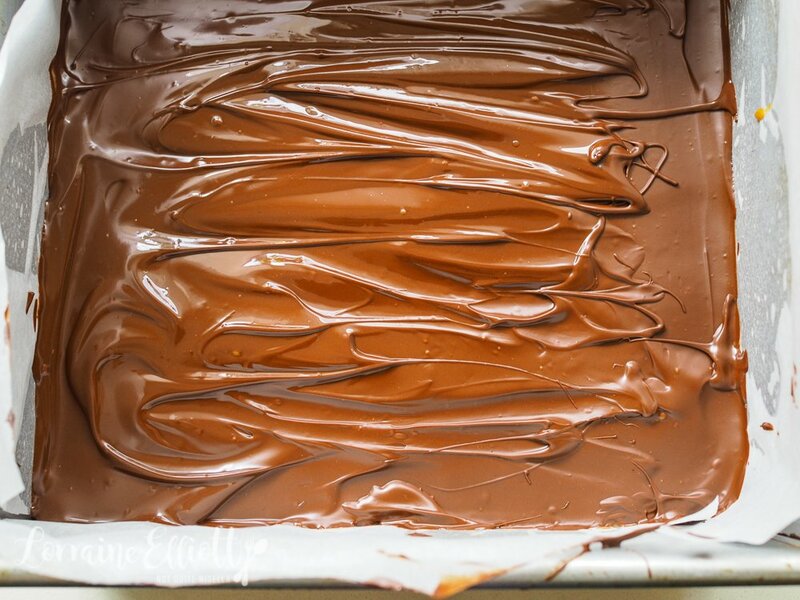 Step 3 - Melt the chocolate with the coconut oil and using an angled spatula spread over the caramel. Refrigerate for 10 minutes and then score the chocolate using a sharp knife. Allow to set completely and then slice up. recipeAn Anzac Caramel Slice - Two Aussie Classics In One for Anzac Day! recipeMake Your Own Dark Chocolate From Scratch! recipeDoing The Double Dutch With Peanut Butter Chocolate Stroopwafel S'mores! recipe An Anzac Caramel Slice - Two Aussie Classics In One for Anzac Day! recipe Make Your Own Dark Chocolate From Scratch! recipe Doing The Double Dutch With Peanut Butter Chocolate Stroopwafel S'mores!